Tasia is using Smore newsletters to spread the word online. 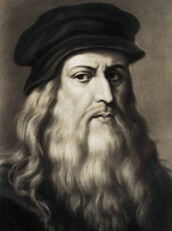 When and Where was Leonardo born? Where did Leonardo spend most of his life? This piece is called the "Mona Lisa" it was created in the years 1503-1506. you might see this in the musee de Louvre, Paris. this painting is interesting because you can't tell if she is starting to smile or if she starting to not smile anymore. Also because she has no eyebrows or eyelashes. This piece is called the "Virtuvian man" it was created in 1490. You would see this in the Gallerie dell'Accademia in Venice. this was created to show the porportions of a man. This painting is called "The Last supper" it was created in 1495. You would find this painting in the Santa Maria delle Grazie in Milan, Italy. This painting shows the reaction of all the apostles when Jesus said that one of them would betray him. "Leonardo Da Vinci and His Famous Painting "Mona Lisa"." Canvas Wall Art Oil Painting Reproductions for Sale. N.p., n.d. Web. 18 Nov. 2013. <http://samui-art-gallery.com/leonardo-da-vinci-and-his-famous-painting-mona-lisa/>. "Mona Lisa - Leonardo da Vinci Painting. 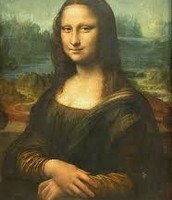 "Mona Lisa - Leonardo da Vinci Painting. N.p., n.d. Web. 18 Nov. 2013. 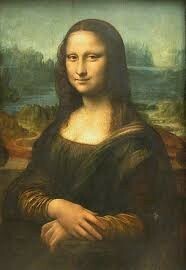 <http://www.artquotes.net/masters/leonardo-da-vinci/mona-lisa.htm>. Any citations you add to your bibliography will appear here! If you need, you can edit or delete any of your citations. "The Sacred Page: The Hallel Psalms and the Last Supper." The Sacred Page: The Hallel Psalms and the Last Supper. N.p., n.d. Web. 18 Nov. 2013. 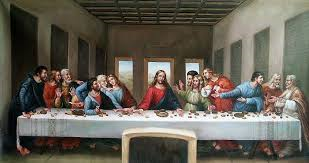 <http://www.thesacredpage.com/2011/04/hallel-psalms-and-last-supper.html>.